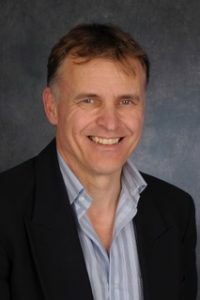 Dr Marius Rademaker BM FRCP(Edin) FRACP DM is an Honorary Associate Professor at Waikato Clinical School (Auckland University School of Medicine), research director of Clinical Trial NZ, and a clinical dermatologist (Tristram clinic and MoleMap NZ – a national teledermatology service). Until recently he was Clinical Director and Head of the Dermatology Department, Waikato Hospital District Health Board and Chairman of DermNetNZ.org Trust. As well as being Regional Advisor of the Royal College of Physicians of Edinburgh, he is a Fellow of the Royal Australasian College of Physicians, the New Zealand Dermatological Society and member of the International Society of Dermatology, the European Academy of Dermatology and Venereology amongst many other societies. Prof. Rademaker has over 30 years experience of medical dermatology. He has published over 200 articles and book chapters, and regularly lectures at international dermatology conferences. He is editor-in-chief of the Australasian Journal of Dermatology. Born in the Netherlands, primary schooled in USA, secondary school in Mexico, college in Wales and medical school in England means he was fluent in several languages including English, Spanish and Dutch with ever-decreasing knowledge of French and German. He represented the Netherlands in the 1968 Olympic Games in Mexico City (cultural section). Amongst other things he qualified as a British Union canoe lifeguard, an Inshore Lifeboat Coxswain for the Royal National Lifeboat Institute, a certified ski instructor, a ski patroller, as well as being certified in professional avalanche safety management.